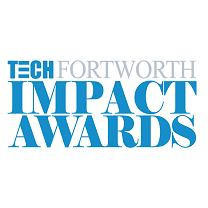 Arlington-based Applied Regenerative Technologies was just announced as the winner in the health category of the Fifth Annual TECH Fort Worth IMPACT Awards. Applied Regenerative Technologies received this award based on their focus on restoring nerve function after becoming impaired due to neurological issues or trauma. Applied Regenerative Technologies will have the opportunity along with all 8 other finalists on June 20, 2013 to pitch their products to angel investors such as Cowtown Angels and The North Texas Angel Network. In addition, as part of the award, Applied Regenerative Technologies will receive a trophy and a professionally made video that will help them in presentations for marketing the company to angel investors in the future. Joining them in this award are Pulsar Energy (awarded in the energy and environment category) and Student Success Academy (awarded in the community category).